Recently Apple has launched a new service Apple Pay where an iPhone or Apple Watch user can pay using their device without even carrying a wallet. Just like as Passbook would store your information you can now use it to store credit and debit card information as well. To add a new card to your Passbook you can use the iSight camera to instantly capture the information or just enter the information manually via iTunes. By using unique security features Apple Pay will store your card information and with simple clicks you will be able to make payments purchase online using apps easily. 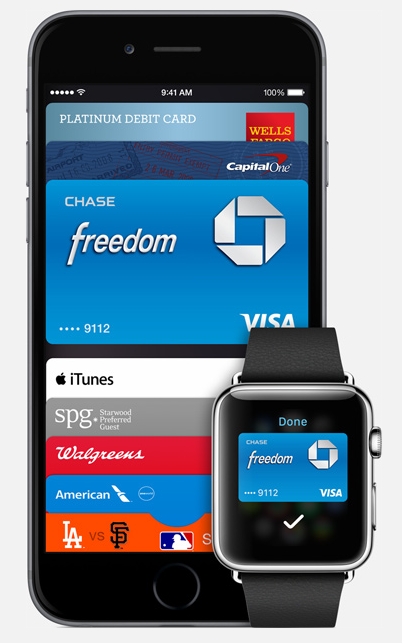 So now you can make payments using your iPhone 6 or Apple watch is a easy secure way. So how to use Apple Pay? To use Apple Pay with iPhone you will just need to place your finger on the Touch ID and place the device near the payment boot and iPhone6 with help of NFC will automatically send the payment information. You will receive a success message by vibration and beeping of your device.